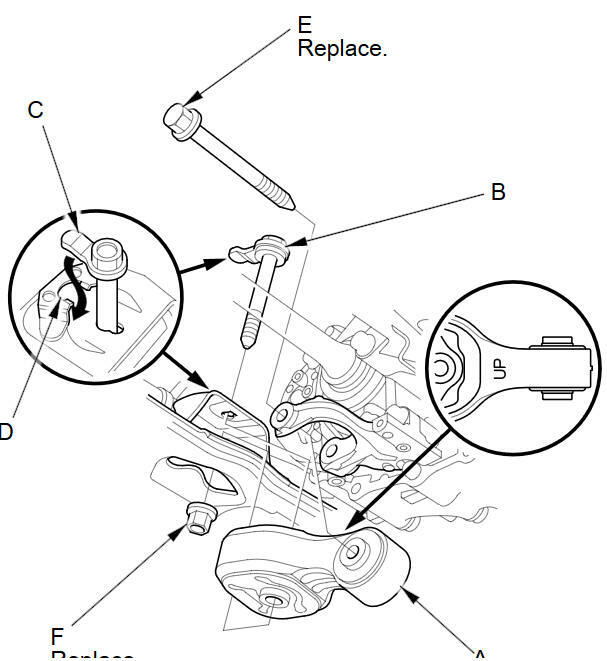 Support the transmission with a transmission jack and a wood block under the transmission and raise it just enough to free the torque rod, then remove the torque rod. 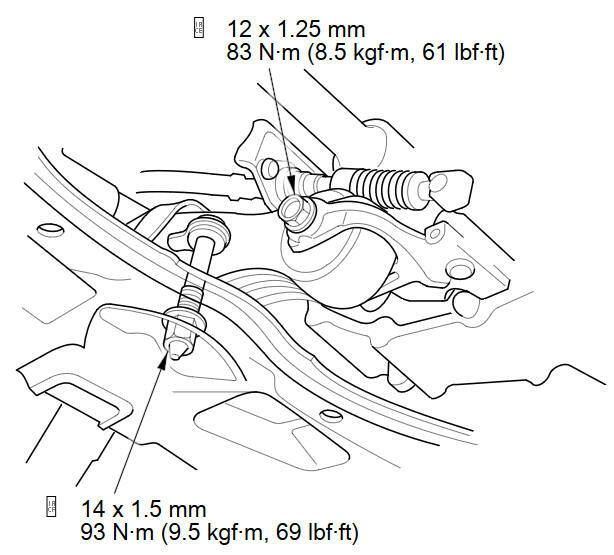 Install the torque rod (A). 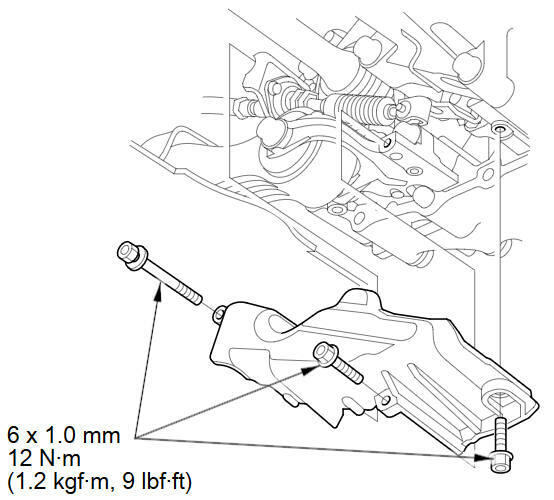 NOTE: Be sure to install the torque rod with the UP'' mark facing up. 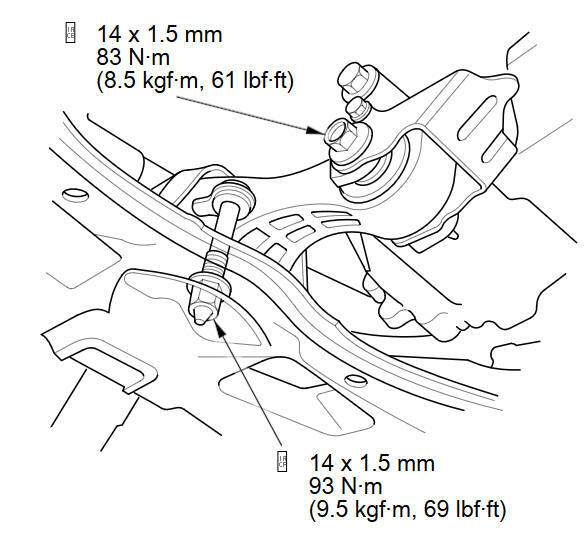 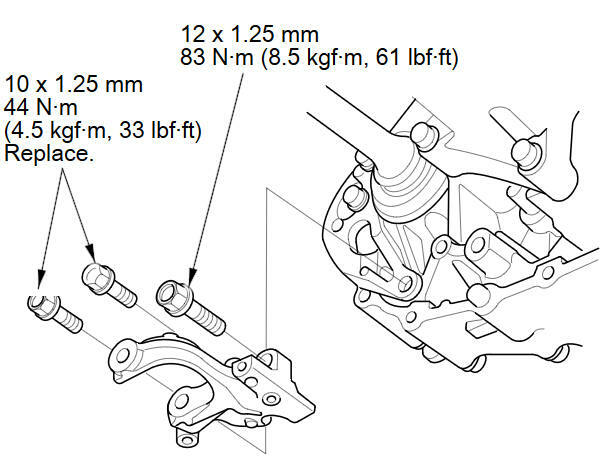 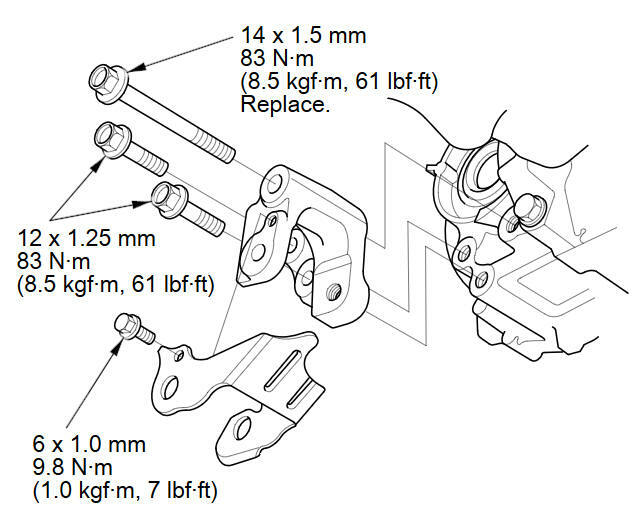 Install the bolt (B) with the tab (C) on the bolt head aligned with the guide (D) on the front subframe, then loosely install a new torque rod mounting bolt (E) and nut (F). 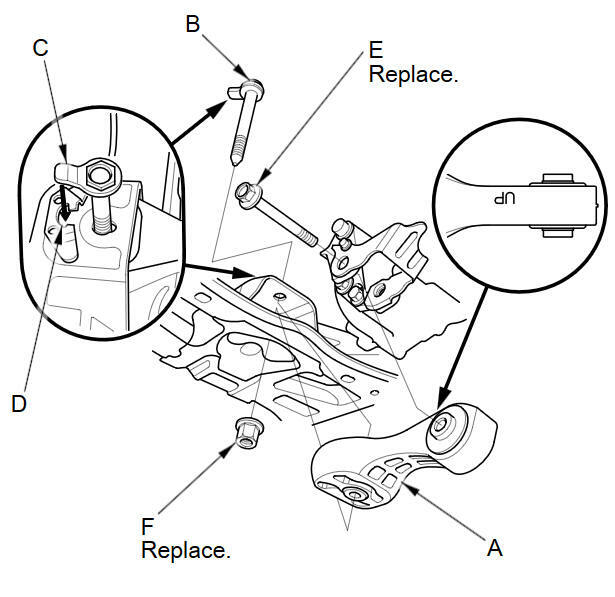 Remove the transmission jack and the wood block from under the transmission.